Race around the prehistoric themed board to escape the hot lava and avoid extinction! 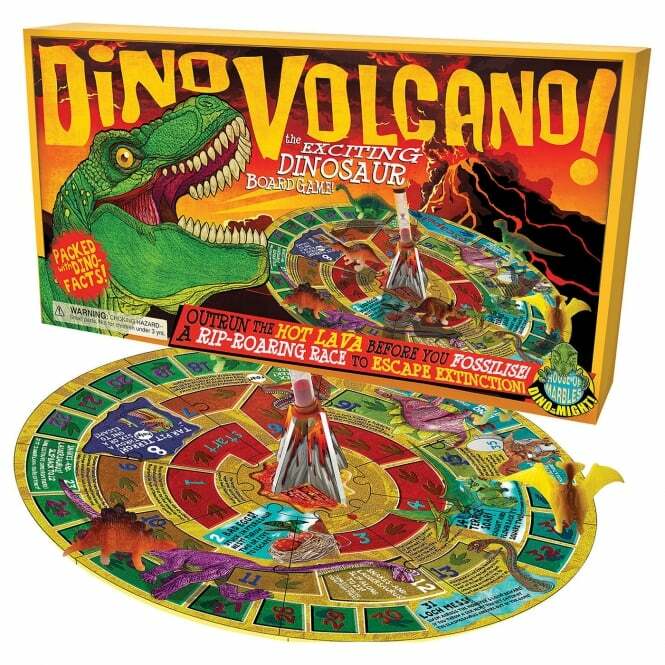 The Dino Volcano Game includes a board, 6 colourful dinosaur playing pieces, 12 lava pieces, 2 interlocking volcano pieces, die and timer. Suitable for 2-6 players aged 4 years and above.